When you are planning your garden, consider adding flowers that serve a purpose of not only assisting in pollination, but can be also be used in dishes. This will help you make most of the limited garden space, not to mention adding fragrant and visually striking appeal to your dishes. Using flowers in cooking has been widely used in many parts of the world including Europe, Asia, East India, Victorian English, and in the Middle East. During the colonial times of America, settlers also used flowers as a means for sustenance. Recipes have been handed down from generation to generation and we are left with delicious flower filled salads and dishes. Herbal flowers normally have the same flavor as their leaves, with the exceptions of chamomile and lavender blossoms, where the flavor is usually more subtle. Harvest young blooms and use them within the day they are picks for best flavor. 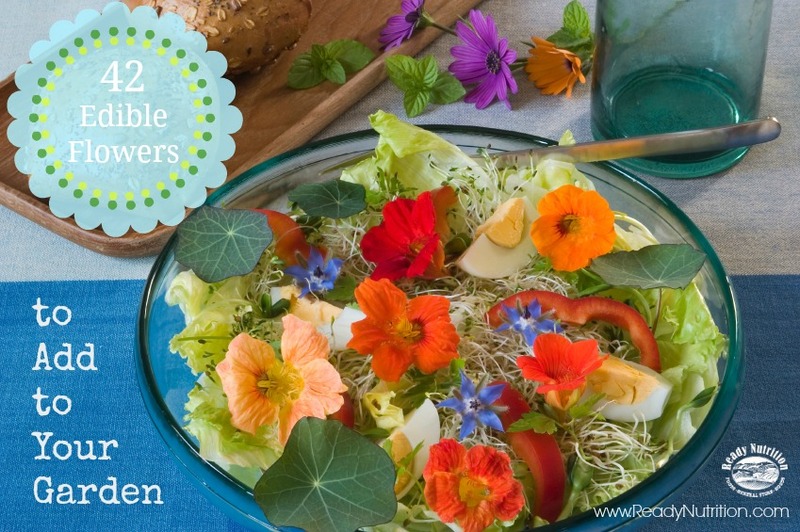 Ensure that the flowers you use in your dishes are organic and pesticide free. It should go without saying, but never eat a plant that you cannot identify. Avoid eating flowers if you have severe allergies. Do not use flowers that were picked by the roadside. Only eat the petals of the flowers. Remove the pistils and stamens. Gradually introduce flowers into your diet to ensure you are not allergic. Daylily (Hemerocallis spp.) flowers are diuretics and sweet woodruff (Galium odoratum) can have blood-thinning effects. Blossoms of linden trees (Tilia spp.) are reportedly safe in small amounts but heavy consumption can cause heart damage. Marigolds (Tagetes spp.) can be harmful in large amounts, and only certain species have an appealing flavor. Would love to see that list of 42 edible flowers with a photo for each flower/plant.